Homeowners are finding that there is a brand-new, sophisticated flooring option available for them to choose from--luxury vinyl flooring in Cincinnati, OH. Available in an exhaustive range of styles, colors, and patterns, luxury vinyl tile and plank flooring helps you create the perfect style for your home or business. Want to make a bold statement? Maybe you are considering something a bit more traditional? Thanks to Buddy’s Flooring America’s luxury vinyl tile installation services, you are able to bring the exact look you want to any space. As durable as the vinyl flooring you are used to, but with the ability to perfectly mimic the natural materials you want in your home, luxury vinyl flooring delivers the gorgeous looks you want to fit all of your different décor ideas. High traffic areas in your home can be a challenge to properly decorate. You want something that looks good, but you also want to make sure that your floor isn’t going to get worn down in just a few short months or years. 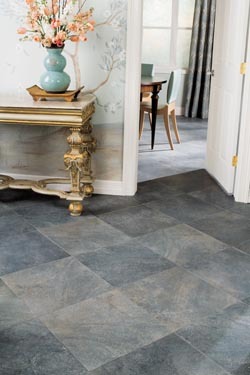 The solution is to install attractive luxury vinyl flooring from our showroom. You have made a smart investment having luxury vinyl flooring added to your home or business. Now it is time to make sure you protect that investment by having it properly installed by our skilled professionals. We have the knowledge, skills, and equipment necessary to effectively and efficiently install your brand-new floor the right way the first time. When you work with our trained team of flooring specialists, you are able to avoid many of the costly mistakes that can occur when an amateur attempts to perform a luxury vinyl flooring installation. We know exactly what needs to be done to ensure your tile or planks are able to stand the test of time. So enjoy all of the benefits that come with luxury vinyl plank and tile by reaching out to us today. Contact us to learn more about the impressive resiliency of luxury vinyl flooring. Our team is ready to assist customers located throughout the Cincinnati, Ohio, area, including Norwood, Oakley, Deer Park, and Amberly.